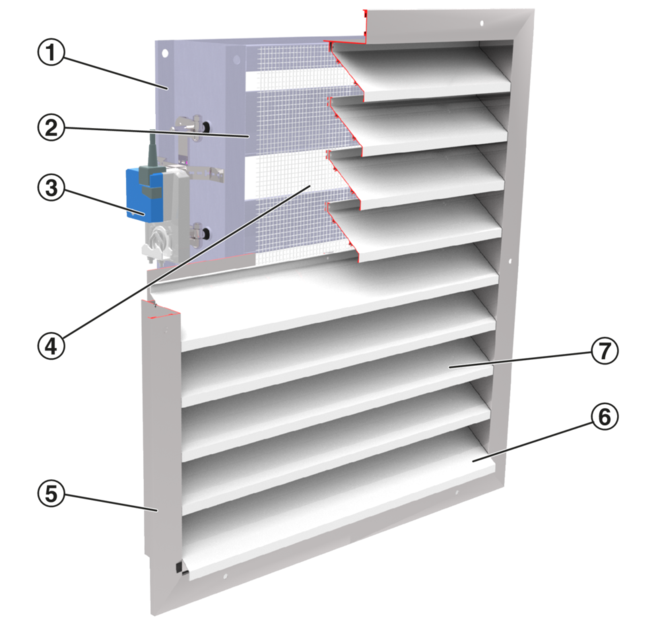 ⑦ The nominal size equals the dimensions of the duct connected to the multileaf damper (without actuator). 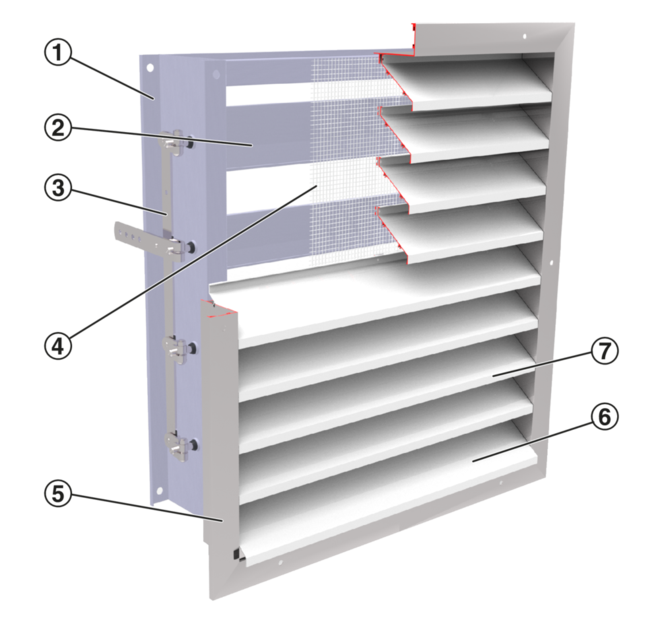 Depending on the size of the installation opening, an installation subframe may have to be used. 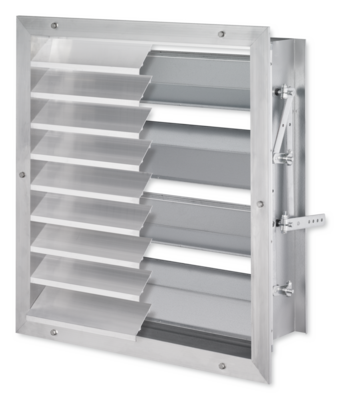 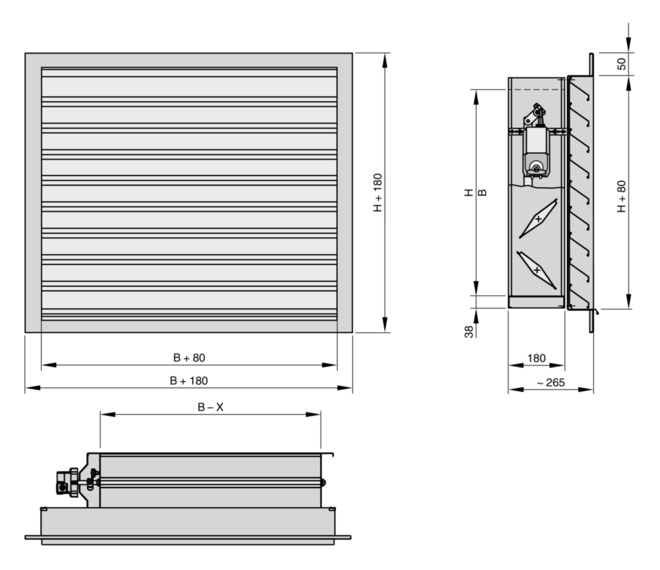 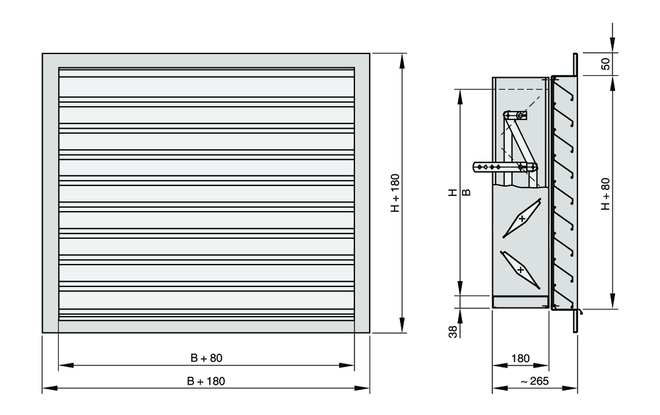 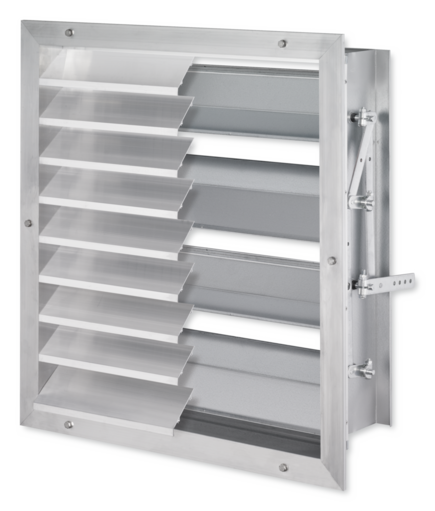 In WG-JZ combinations with an attachment the width of the multileaf damper is by X mm shorter than the external weather louvre.